Android phones are one of the most user-friendly phones, with a versatile and easy-to-handle UI. But little does the common user know that the UI is just the tip of the iceberg. The Android open-source operating system has a wide range of possibility in the right hands. The gateway to unlocking this treasure trove is called rooting. Rooting Android and What It Brings? With a little technical working, one can gain access to the OS, make changes in it and widen the potentials of a simple Android device. 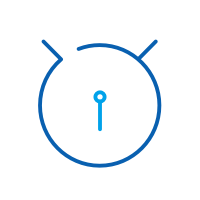 All devices put this lock on root for security reasons. You might have seen some apps are incompatible on your phone, which can easily be rectified if you have root access. There are just so many things one can do after rooting, which upgrades your device like never before. But in untrained hands, rooting might mean the end of your device's life. If there is an easy way to root your Android device, it is by using a rooting software. There are a number of rooting apps available which offer rooting services. However, it is a tad bit difficult if you have older versions of Android, as some software may not support them. Previously rooting Android versions higher than Android 7.0 was more difficult as the verified boot would check whether system files have been tampered with, thus blocking rooting apps. But times have changed and rooting is now easier with Android Nougat. Most of the one click root software supports all the major device manufacturers. One such reliable and frequently downloaded software is dr.fone. Rooting brings major changes in your device. Before you get down with rooting, make sure you check these boxes to be on the safe side. Create Backups: Before you even think of rooting, create data backups of your Android device. You might face difficulties which might lead to data loss. Better safe than sorry. Erase Android Files: Delete all the Android files on your phone so that it does not get in the way of the rooting process. Full Battery: Starting out to root your phone on a low battery is risky business. Make sure you fully charge the battery to keep your device safe. Recovery tools at hand: There is the off chance that you might lose your data on your device, keeping a recovery tool will keep your device's back secure. Pick the right software: Before you root your device using any one click root free software, make sure you pick the right one. There are plenty of software that does more harm than good. Take help from techies regarding the one click root free process to make sure nothing goes wrong. Antivirus: Get powerful antivirus options before you begin. By rooting, you are pulling down all the safety nets. Money matters: Be prepared to cover the costs if your device is harmed during the rooting process. 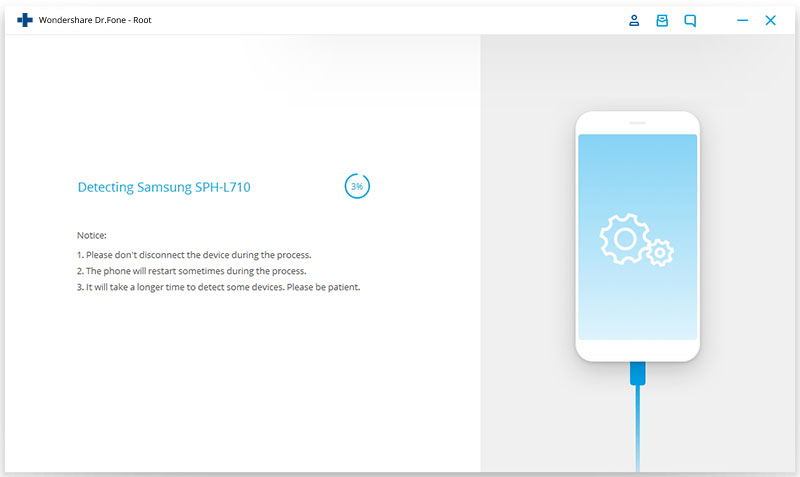 Rooting a device invalidates the device’s guarantee offered by the manufacturer. dr.fone - Root is one of the best services to root your Android device with just one click. 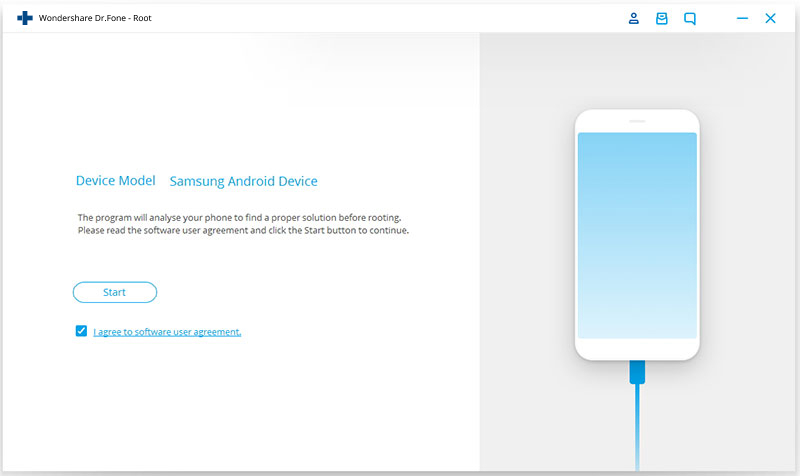 It is an easy and user-friendly software that helps users to root their Android device without requiring any help from the professionals. It has an intuitive interface that makes it easy to use. It ensures full security by making sure that no data is leaked or lost during the rooting process. It supports a wide range of Android devices. Step 1: Download and install dr.fone. Thereafter, launch it and select the “Root” option from the screen that appears. Step 2: Connect your Android device to the computer with the help of the USB cable. Make sure that USB debugging is enabled. Click on the “Start” option so as to start with the one click root free procedure of rooting your Android device. 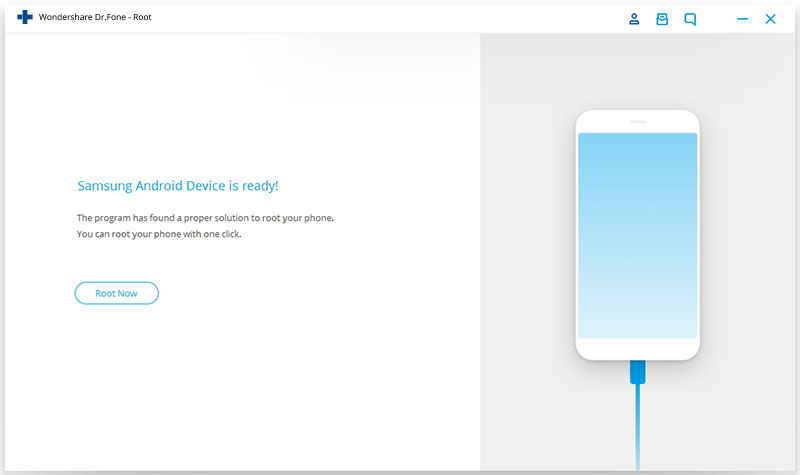 Step 3: Once a secure connection is established, the Android device will be automatically recognized by dr.fone - Root. Step 4: Once the detection process is completed, the rooting process is ready to begin. Tap on the “Root now” option from the screen that appears in order to start the free one click root process. Step 5: Tap on the “Confirm” option when the prompt reappears for confirmation. 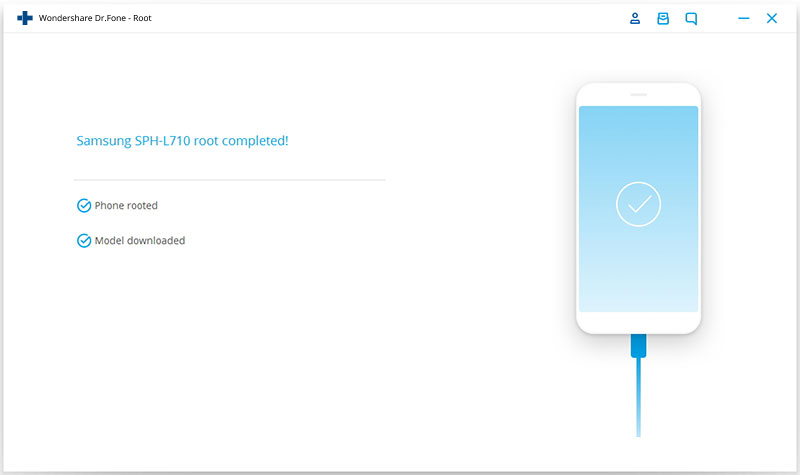 dr.fone -Root is, no doubt, one of the best software to root your Android device with. It provides an easy interface and instructions to make the procedure smooth. dr.fone -Root also offers customer support for users if they get into trouble. With this app, one can rest assured as dr.fone -Root make sure that there will be zero leakage of any data. With this tool, rooting an Android device is done efficiently and effectively. How to Root LG G2 Running on Android Lollipop? In this article today we will learn how we can root LG G2 that is running on Android Lollipop and also the steps to install TWRP on your phone.